The two belltowers are of unequal height and served as watchtowers following Islamic invasions in 1741 and 1754. The gold-plated retablo is the original altar used in the late 1700s and was found during excavations in 1982. A fire had ravaged the church in 1910 and it was believed the retablo had been razed as well. Guimbal Church is one of the oldest churches in the Philippines. 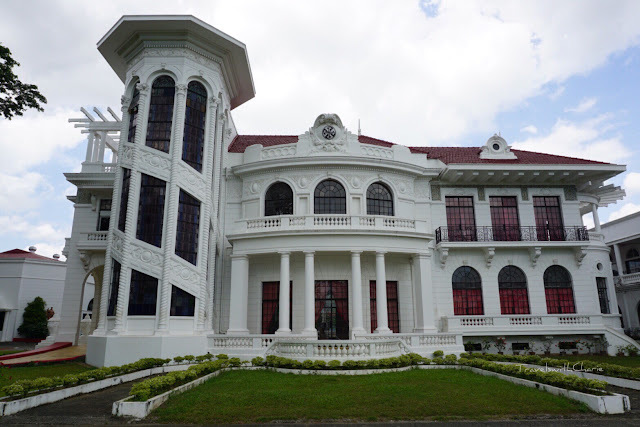 It was built in 1774 and restored twice, once after World War II and after the earthquake of 1948 which also destroyed the Jaro Cathedral. The Romanesque inspired walls of Guimbal Church have withstood the ravages of time. 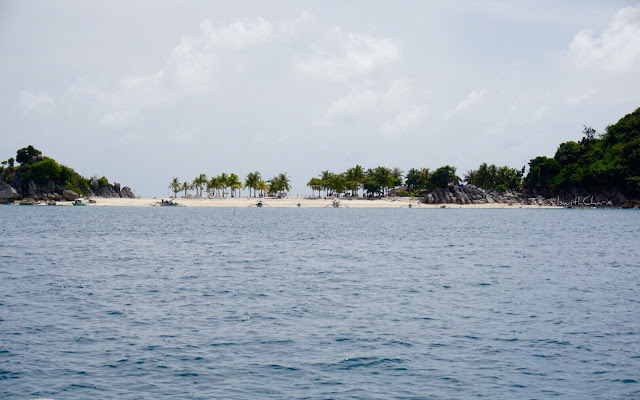 This trip to Islas de Gigantes sat long on the planning stage. But one fine day in October, we finally made it there. And it was everything I had heard and read about. The image above shows our approach to Cabugao Gamay Island. This is the iconic photo of Islas de Gigantes. We scrambled up a hill to get this unobstructed view of Cabugao Gamay and the Visayan Sea. It's a good thing we arrived early in the morning before the selfie crowd got in. This is the hue of the sea taken from Cabugao Gamay. How it nurtures the blue mind! The white sand beach of Cabugao Gamay is free from debris. Bantigue Island and its sandbar rises from the sea like a mirage. We stopped here for lunch of rice and fish. The Tangke Saltwater Lagoon on Gigantes Sur is surrounded by towering limestone cliffs. It was still low tide when we got there. Scallops are only one peso each. But at Bancal Port in Carles, you can buy them by the bucket. And it is so succulent. It was summer in the Philippines and we really wanted to go to the Gigantes group of islands. But we had no desire to join the throng of beach pilgrims who wanted to take the iconic selfie from the hill above the white sand beach of Cabugao Gamay. 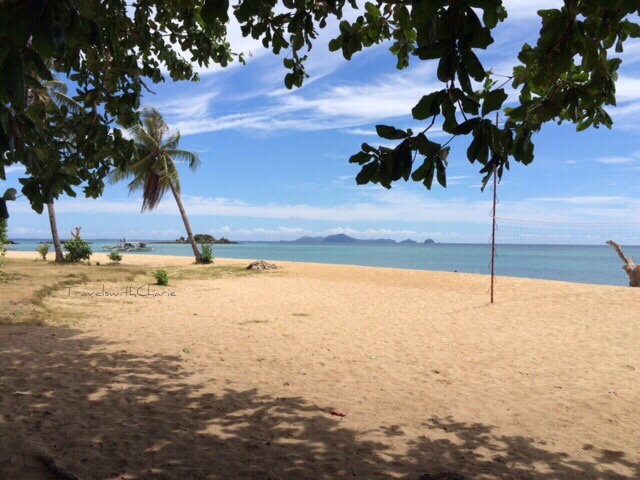 So here we were on Buaya (crocodile) beach in Sicogon, waiting for our lunch to be served, enjoying a cool drink under the shade of this old Talisay tree and looking at the Gigantes islands from our comfortable roost. We could also see our motorized outrigger bobbing in the water and behind it, Tumaquin Island. You can swim to Tumaquin or wait until low tide and walk to it. There was a group of students learning to scuba dive in the clear waters offshore. The sun was mercilessly hot so we opted to stay put. We were happy campers under the tree.